Last Thanksgiving, just around the time your Uncle Bud was devouring another helping of pumpkin pie, the Eagles were putting the finishing touches on devouring the Dallas Cowboys on the road in “Jerry World”, 33-10. The win put the Birds at 9-3 on the season, in what looked to be a promising deep run in the playoffs. And then, just like that, it was all over…. The Birds lost their next three games, only to win a meaningless season finale and end the season 10-6, while the Cowboys, whom they had beaten so resoundingly on Thanksgiving, picked themselves up off the mat, came to Philadelphia and exacted revenge against the Birds a few weeks later. Along with stopping to pickup a cheesesteak “wit” on their way out, the win propelled the Cowboys to an NFC East title, while the Eagles were left in a state of confusion trying to figure out what went wrong. What did go wrong was that the achilles heel of the team, the secondary, which was held together with some old bandaids and some string, finally came undone and was blatantly exposed during the last quarter of the season. 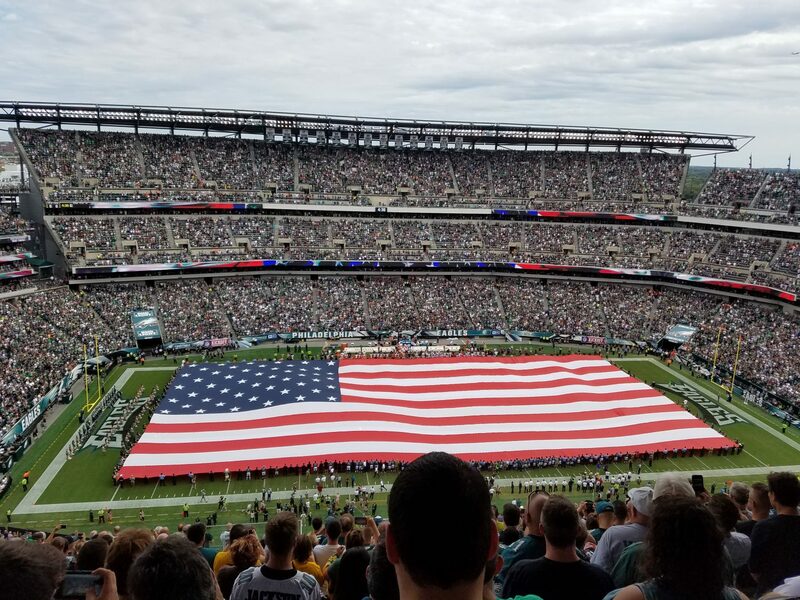 But a new season brings with it unbridled optimism and hope, and as the Eagles commence their 83rd year of existence, and their 54th straight year without starting the season as defending champions, the anticipation for 2015 is as high as it has ever been for an Eagles team. This city has always been, first and foremost, a football town, regardless of which teams experienced success or failure during the past year. But the fact that the other three major teams have decided to partake in a “Great Recession” of sorts when it comes to success in their respective sports, only makes the Eagles a more attractive product as the summer slowly turns to fall. The Sixers and Flyers of the upcoming season, as well as the Phillies of 2016 will all began their seasons with very little hope of contending for a title. Meanwhile, the Birds under Chip Kelly, have undergone back-to-back 10-6 seasons, and are the only game in town who has had a winning record over the last year. Some coaches replace poor performing players by replenishing talent through the draft. Others who feel that they are close to reaching the Super Bowl will tinker with their roster by adding a few missing pieces through free agency (as Andy Reid did in 2004 when he acquired Terrell Owens and Jevon Kearse). But Kelly did not just replenish or tinker – he replaced even his CORE players. Gone is Nick Foles, holder of the NFL best touchdown-interception ratio of all time (27 touchdowns and 2 interceptions from 2013) and LeSean McCoy, who, while lightening fast when in the open field, never met a dance move he didn’t like while waiting in the backfield for a hole to open. His dancing in the backfield led to 78 rushing plays that resulted in no gain or a loss – just too many for a star running back. No one expected Foles to replicate his record breaking numbers going forward, but he certainly didn’t come close in 2014, throwing 13 touchdowns but also 10 interceptions, which represent some very pedestrian numbers. McCoy’s losses in the backfield weren’t the only thing that drove Chip Kelly mad, but also his “me first” persona, which clearly showed itself when McCoy was traded. First, McCoy seemed to allege that Kelly was racist, then backtracked when he was questioned further on it, in his usual, ‘how dare you question me’ demeanor. McCoy looked stupid making the comment to began with, considering that Chip has brought in many black players through the draft and free agency, including McCoy’s replacement, DeMarco Murray. The Birds also replaced their cornerback tandem of Cary Williams and Bradley Fletcher by acquiring Seahawks cornerback Byron Maxwell in free agency and elevating backup Nolan Carroll to starter. But will it be enough? While the defensive line still remains a strength of the team, the Birds still don’t have much depth in the secondary or at linebacker, and an injury could leave them vulnerable in these areas. On the offensive side, at least a healthy Sam Bradford, who was brought over in the Nick Foles trade, does seem like the real deal. Bradford was outstanding in the Eagles 3rd preseason game, going 10 for 10 and displaying the accuracy that made him an attractive commodity to the Eagles in the first place. The Eagles will start their season on Monday night this year (just as they did two years ago in Chip Kelly’s inaugural season) down in Atlanta. The Falcons are coming off a 6-10 season, but with new head coach Dan Quinn, formerly the Seattle Seahawks defensive coordinator, they will be looking to make a statement in their dome against a quality opponent. Atlanta has Matt Ryan at quarterback and the dangerous receiving tandem of Julio Jones and Roddy White, who should give the Eagles new look secondary a good test come Monday night. The Birds will pull this game out, 40-30, but it won’t be as close as the score might state.